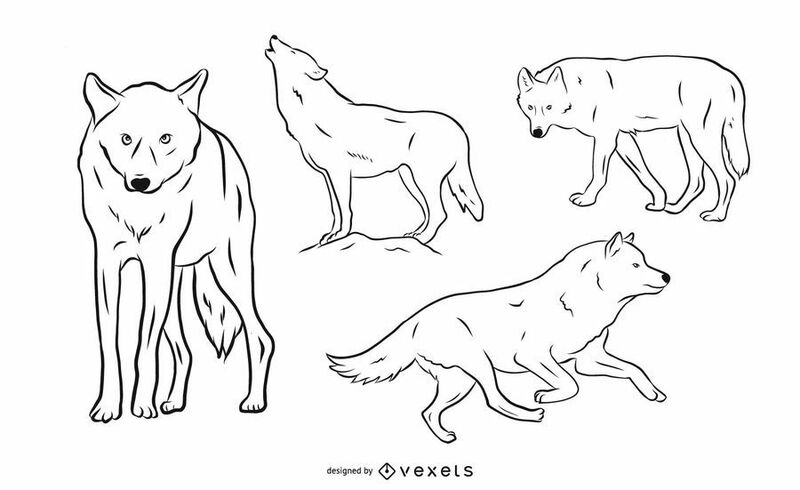 Set of Wolf in different poses illustration in stroke style. Suitable for any animal themed projects and more! Each item is isolated and can be used separately.